I’m going to tell you a little secret. Every time I edit one of my videos I think of George Bush. This is not a political statement nor is it an attack on him. It’s just that some of the things I say are a little “off”. I mean well, stuff just comes out strange. Since I’m not president I can laugh about it even if I’m a “hardstlyle kettlebell comrade”, aka, RKC. Life it just too short and kettlebells too fun to get too serious about it all. That’s not to say I don’t take learning and kettlebells seriously. Kettlebells are no joke. It’s important to give them respect if you don’t want to get hurt. I just don’t take myself too seriously because too many fitness people do and it’s boring. I mean that in the nicest way. 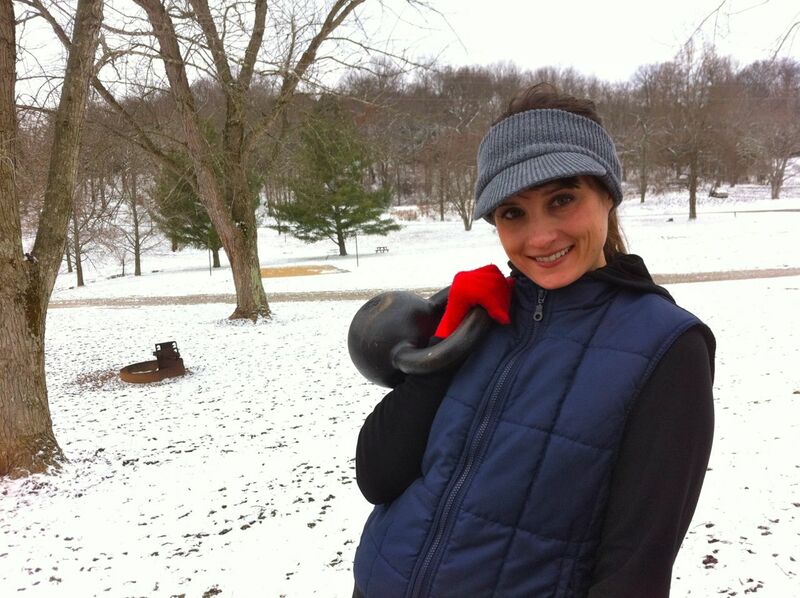 Anyway after Arkansas we went to Indiana for Christmas where I worked out in the snow. After Indiana we headed down to Mammoth Cave National Park in Kentucky where we decided to wait out a storm. We were the only ones in the campground who decided to wait it out. 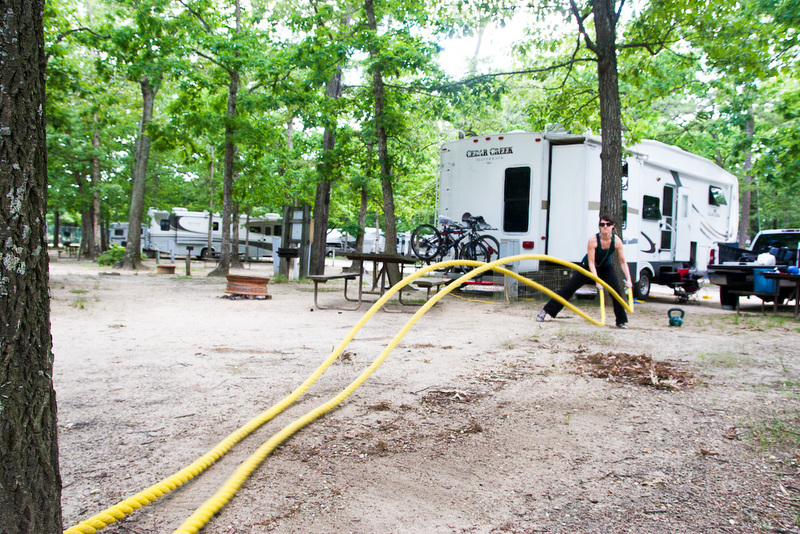 The roads were too slick to drive our big ole’ RV so we were stuck in the empty campground alone for a few days. It was strange and beautiful. To pass time we filmed a workout in freezing temperatures. Totally normal. I really wanted to film in front of a picturesque thouroughbred horse farm with rolling hills but because of the storm it just didn’t happen. And if finding a horse farm was going to be anything like finding a Texas Longhorn Ranch then I’ll stick with the campground. This kettlebell workout is 8 exercises because Kentucky has 8 letters. The exercises are separated into 4 couplets. Repeat each couplet 3x before moving onto the next couplet. I used the picnic table but a bench or sturdy chair could be used. I sort of like the word “workie” in place of workout except that it reminds of “sammie” for sandwich and that makes me cringe. I have used picnic tables to work out before, but I’m not sure I would use them in the freezing cold… You rock! Well, you are a girl hero! The guy at the end is funny! Great use of what you had around! I love how much you’re keeping up with fun effective workouts on the road. It really shows that there are no excuses if you make health a priority.